국내에 유일하게 남아 있는 고구려 석비로, 장수왕이 남한강 유역의 여러 성을 공략하여 개척한 후 세운 기념비로 추정된다. 1979년 입석마을 입구에서 발견되었는데, 오랜 세월이 흐른 탓에 발견 당시 비면이 심하게 마모되어 있었다. 석비는 돌기둥 모양의 자연석을 이용하여 4면에 모두 글을 새겼는데, 그 형태가 만주에 있는 광개토대왕비와 비슷하다. 비문은 심하게 닳아 앞면과 왼쪽 측면 일부만 읽을 수 있는 상태로, 내용 중 처음에 ‘고려대왕(高麗大王)’이라는 글자가 보이는데 여기에서 고려는 고구려를 뜻한다. ‘전부대사자(前部大使者)’·‘제위(諸位)’·‘사자(使者)’ 등 고구려 관직 이름과 광개토대왕 비문에서와 같이 ‘고모루성(古牟婁城)’등의 글자가 보이고, ‘모인삼백(募人三百)’·‘신라토내(新羅土內)’ 등 고구려가 신라를 불렀던 말들이 쓰여 있어 고구려비임을 확인하게 되었다. 고구려 영토의 경계를 표시하는 비로, 백제의 수도인 한성을 함락하고 한반도의 중부지역까지 장악하여 그 영토가 충주지역에까지 확장되었음을 말해준다. 또한 역사적으로 고구려와 신라, 백제 3국의 관계를 밝혀주는 귀중한 자료로서, 우리나라에 남아있는 유일한 고구려비라는 점에서 커다란 역사적 가치를 지닌다. 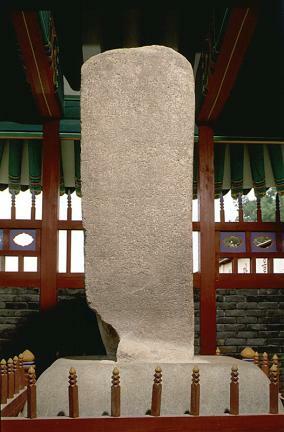 This is the only existing Commemorative Stone from Goguryeo in the Korean Peninsula. 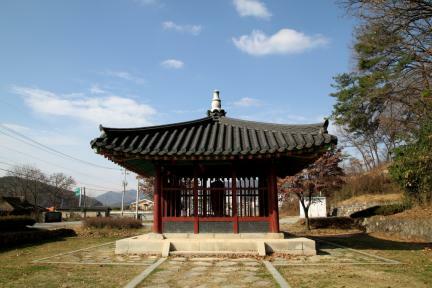 The monument was set up to commemorate the occupation of a number of fortresses along the Namhangang River by Goguryeo troops. 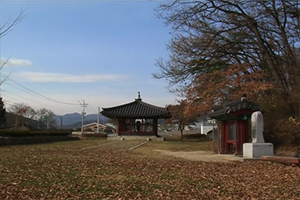 It was discovered in 1979 in a village named Ipseok. The monument had already been severely eroded by time and local residents' negligence when discovered. 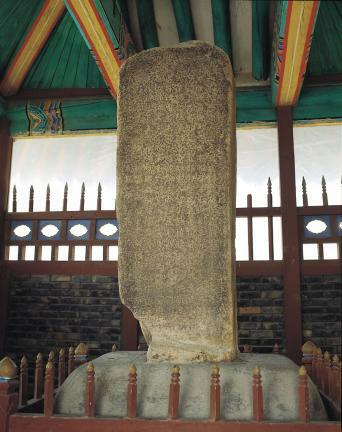 It is in the form of a natural stone pillar, a smaller version of the monument to King Gwanggaeto of Goguryeo located in Manchuria, China. The inscription is engraved on four sides, but only the letters on the front and one side are legible for now. 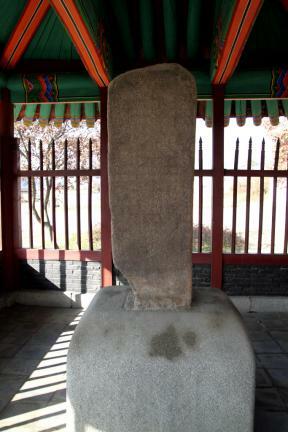 Based on the mention of King of Goryeo in the preface of the inscription, Goryeo here means Goguryeo, the inclusion of the names of official posts unique to Goguryeo, and the terms referring to Silla used by Goguryeo, this is undoubtedly a Goguryeo monument. 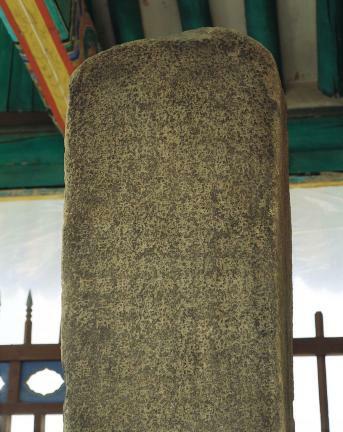 Judging from what is legible, the monument is believed to date to around the late fifth century when King Jangsu of Goguryeo moved the capital to Pyeongyang and extended the Dynasty's territory southward to the basin of the Hangang River. 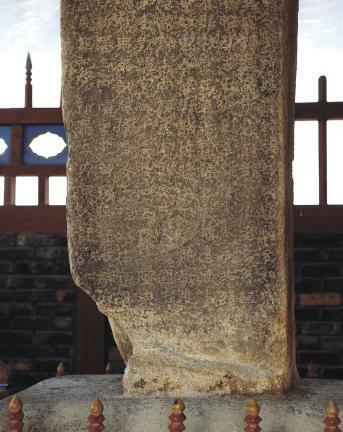 With its rarity and valuable content illustrating the relations between Goguryeo, Silla and Baekje, this monument is of great importance for the study of Korean history.